The wife and I are going to head down to Islamorada for a week around mid march. 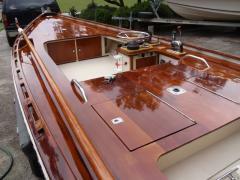 I have a 2001 Pathy 2200v. I live in NE Florida and Ive fished all over the state except the Keys. Ive had my rig 25 miles offshore St Augustine and about the same on the gulf side, and I also like to fish inshore. What can I expect in the Keys? 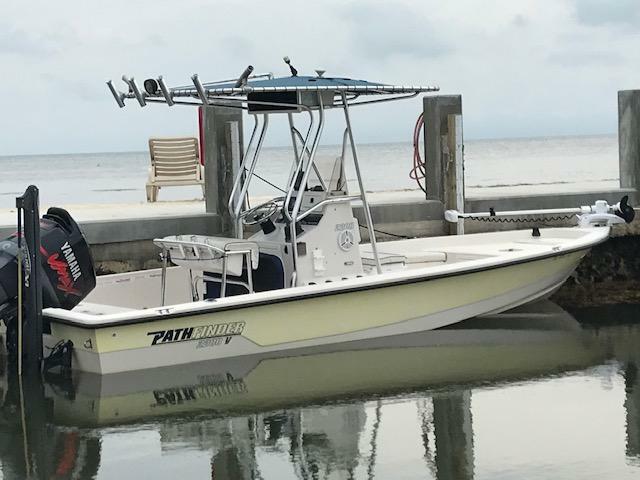 Are there a bunch of off limits fishing areas around Islamorada to avoid? What about Regulations - gulf side, atlantic side...etc? Is it all based on which side of the key you are on? Ive done some reading, but Id love some first hand advice. dabear is right. If you go into the park, you will need a Everglades National Park boater permit. Now is great time to apply since the $50 fee is waived for now. It’s an on line course, take about 45 minutes, but we’ll worth it. And fish’n is great , good luck. The park boundary follows the ICW channel from jewfish creek in Key Largo until just south of Lower Matecumbe key. Fishing days will be hit or miss with the wind so the back country will be your friend. 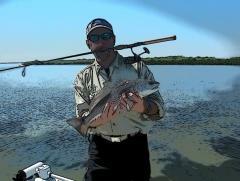 Fishing out of Islamorada is great and the back side holds a good variety from Mangrove Snapper to Tarpon. If the wind allows, get a couple bags of chum and go out to the reef on the Atlantic in about 80' find some good bottom, anchor and start chumming for Yellowtail. You can fish the bottom until they show up behind the boat, then just feed a line back to them with no weight and with the current flow. Small piece of shrimp or cut bait. The bottom may well yield Mutton or other good Snapper. I appreciate the feedback! Thank you for the Park Boat Permit link. I picked up a Top Spot chart and if weather permits, I should be able to find some deep water. Ive snapper fished on the gulf side on the shallow wrecks using a free line technique, so I figured that would be the best bet. I also have some jigging outfits to bring. Im thinking it will be popping cork time on the inside. Live shrimp and whatever I can castnet. On the inside though, I see a lot of NMZ around some of the keys. Does that mean you cant be under power, ie you must pole? Or you cant have power on the boat at all? In NEFL our NMZ are usually HP restrictions under 10. I don't have a poling tower and I don't have a pole. There are numerous tracks which have been posted in the past with GPS coordinates, etc...be sure you watch your tides as running some of the North tracks can be tricky on a low tide. Trolling plugs just over the patch reefs if it gets snotty can be fun or just doing some tailing on the patch reefs if you can't get to 50-60 feet due to winds. Not sure it's what you're looking for but FMT sells GPS chips that have basically all the frequent tracks throughout Florida by region. If you just google FMT charts they'll come right up. I think they may have been under the Owner's Tournament posts. Did you stay there? If so, how was it?! We did and that place is absolute paradise.